Wisconsin alumni Carrie and Tim Bussian couldn’t believe what they heard from BYU fans while visiting LaVell Edwards Stadium for Saturday’s football game. They were equally stunned by what happened in the stands. 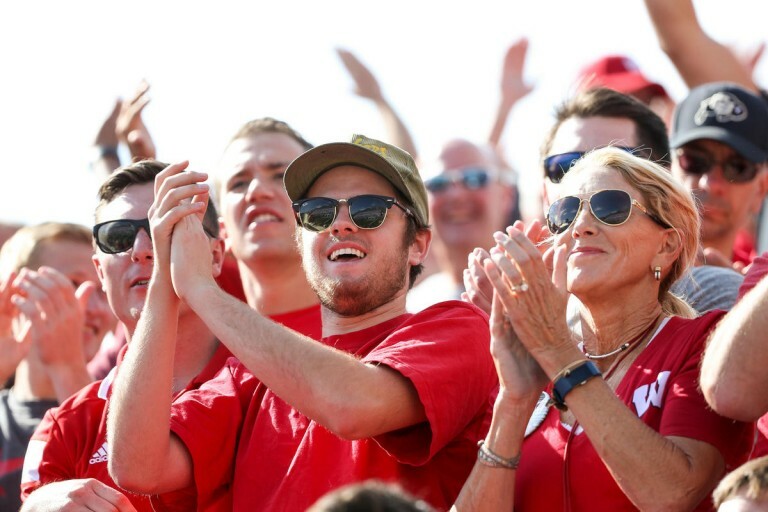 Same goes for Badger fans — and there were plenty of them in attendance — who traveled to Utah County from Wisconsin, Arizona, Illinois, Iowa, Idaho and elsewhere around the country. BYU didn’t exactly make a great impression on the field, struggling to a 40-6 loss to the No. 10 team in the nation, but the program can feel good about how its fans repped the Y.
Wisconsin killed BYU on the football field. BYU fans killed Wisconsin’s plethora of fans with kindness off of it. “It was like the twilight zone,” said a smiling Brian Bay, uncle of the team’s long snapper, who came up from Phoenix with a group of Wisconsin supporters. “The nicest fans in the world,” friend Mike Stakemiller said of the home crowd. To read the full article go to the Deseret News.